Manisha Koirala pairs Arjun again! Director AMR Ramesh says he wants to cast Manisha Koirala in his upcoming Tamil-Kannada bilingual ‘Game’. 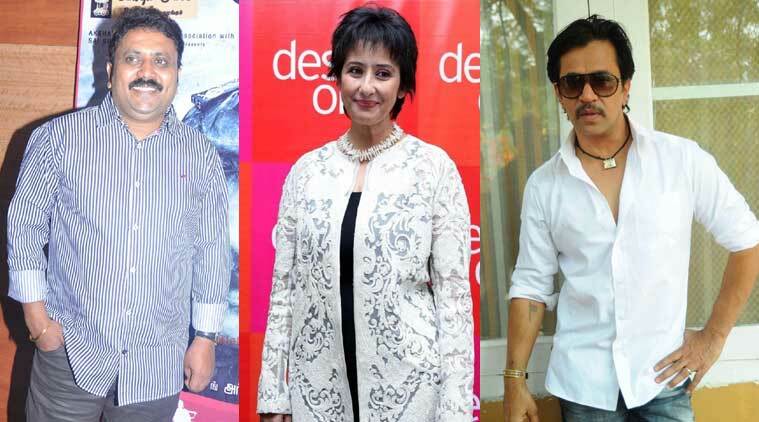 Home » Arjun | Director Ramesh | Manisha Koirala » Manisha Koirala pairs Arjun again! He says he has met her and discussed the film’s story with her. Now he’s awaits the actress’ nod. The film features Arjun Sarja, who had earlier worked with Manisha in Tamil blockbuster ‘Mudhalvan’, in the role of an investigating officer. “It was Arjun’s idea to approach Manisha for the role. I’ve discussed the story with her and she also happens to like it but she’s yet to sign the dotted line,” Ramesh told IANS. Ramesh says the female character in the film that he wants to cast Manisha for, has shades of grey. “It’s a character with a twist, and has shades of grey. Arjun felt she’d be perfect for the role,” he said. The film’s shooting will start soon as soon Ramesh finalises the rest of the cast. Actor Shaam will be playing the antagonist in the movie.